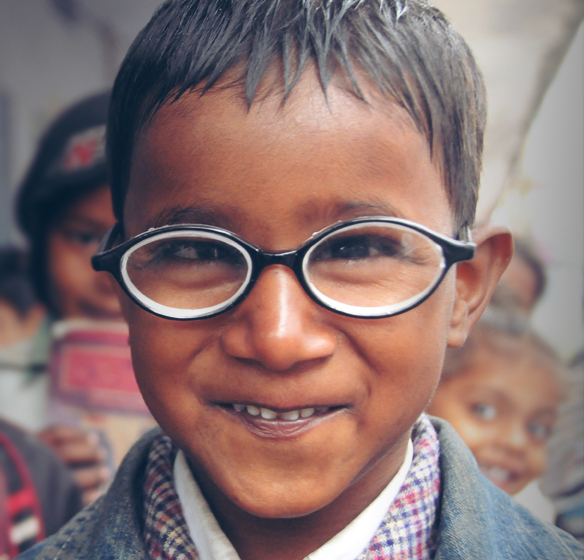 Your donation will make a real difference to the persons with eye problems. The Eastern Regional Eye Care Programme (EREC-P) in South-East Nepal is a further development of Sagarmatha Choudhary Eye Hospital (SCEH), Lahan. In order to balance the work load of SCEH and to increase the scope for long-term human resource sustainability, Biratnagar Eye Hospital (BEH) was started in Biratnagar, Nepal’s second largest city 130 km east of Lahan, in September 2006. 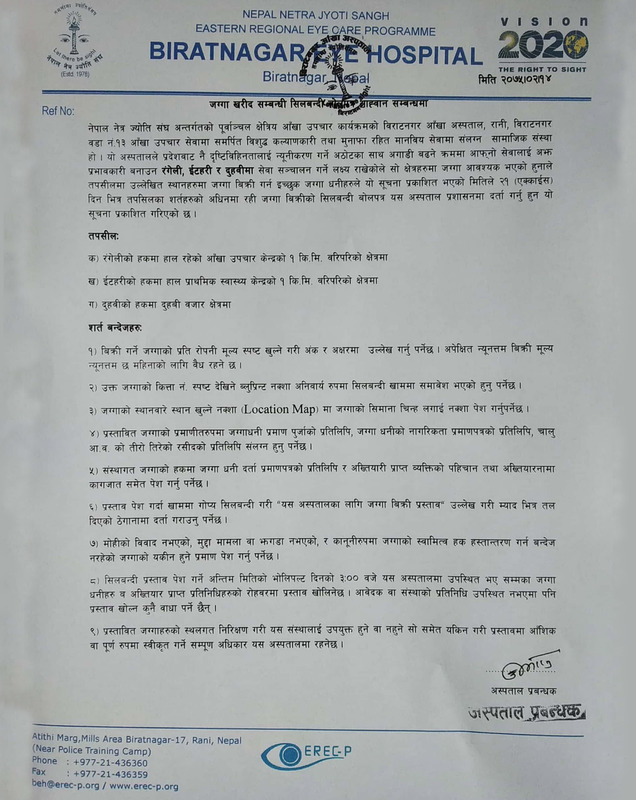 EREC-P continues the 33-years co-operation between Nepal Netra Jyoti Sangh (NNJS), the Social Welfare Council of Nepal and CBM. 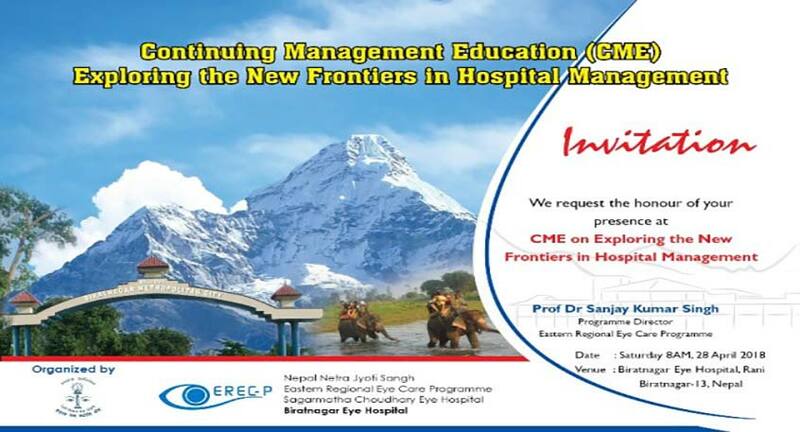 With the combination of the two eye hospitals SCEH and BEH along with its’ satellite clinics EREC-P is a high volume treatment programme, which provides high quality comprehensive eye services at a cost affordable to the population in eastern Nepal and northern India.